This device supports a microSD (TransFlash) memory card. A memory card is included and pre-installed with the device. Additional microSD cards can be purchased from any Verizon Wireless retail store or at the online store. 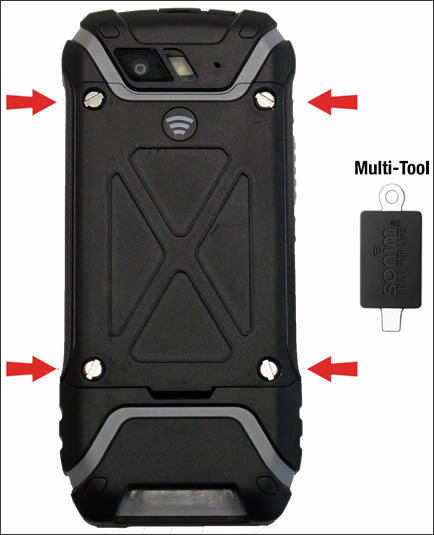 Use the provided tool to remove the 4 screws then carefully detach the cover. From the notch in the upper edge of the battery compartment, lift then remove the battery. Unlock the memory card cover. Press down then slide the cover to the open position. Insert the memory card into the memory card slot. 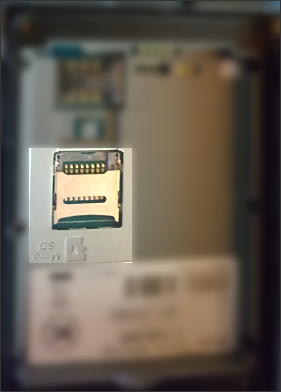 Ensure the gold contacts on the card align with the connectors on the device. Use the provided tool to re-insert and tighten the 4 screws firmly.